Kidambi Srikanth cruised past Lee Hyun II as he defeated him in just 25 minutes to take the Denmark Open title home. Srikanth decimated Hyun 21-10, 21-5 as Hyun had no reply to Srikanth’s game on the day. With the win Srikanth won his 3rd Superseries title of the year and his 5th title overall to add to his growing list of achievements. 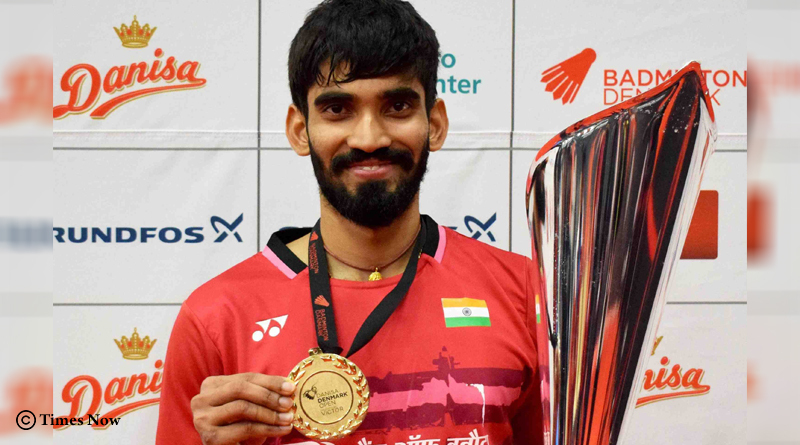 Having won the Indonesia Super Series Premier and the Australia Open Super Series earlier this year, Kidambi Srikanth went into the final of the Denmark Open on a high having defeated World No.1 Victor Axelsen earlier in the tournament. Having blown away his opponents in the road to the final, Srikanth knew that a repeat of those performances would ensure that he clinched the Denmark Open. And he was at his A game as he faced a tough opponent in Hyun. Such was his dominance in the final that he only lost 5 points in the second set. Lee was bamboozled by Srikanth’s smashes and cross court returns .Clearly shaken by the beating Srikanth was giving him he went onto make judgement errors at the baseline and also miscued his strokes as Srikanth made the most of these errors to kill his opponent off. “Very happy to win another title. It’s a good game I think he must have been tired after yesterday’s long match. I am really happy with the way I have played today and I thank everyone for supporting me so much here. It has been a fantastic week for me. I am looking forward to coming back here and defend the title,” said Srikanth.”I expected the match to be a much better one. I know he has the experience of coming back after losing the first game. That’s why after winning the first game I still wanted to maintain the tempo in the second game. Having won two consecutive titles, Srikanth now goes into the French Open Series starting Tuesday looking to maintain his red hot form and add another title to his kitty.